AirKing window fan boasts incredibly high performance and can handle not only living spaces but industrial premises also (including cafes, shops, etc). This fan might seem noisy at the maximum speed. That's a versatile window fan for all kinds of premises. Thanks to the inverse motor, it can take the air in or move it out of the building. 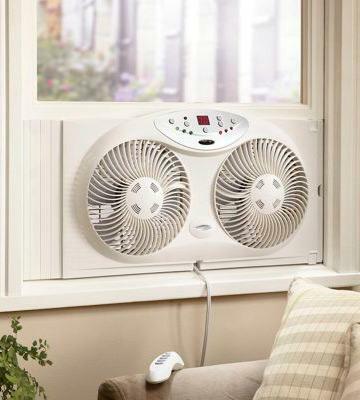 26.25" x 11.25" x 26.75"
Bionaire window fan can work autonomously and it's really convenient due to the handy remote control. Superb! You can't close fan seals when the device isn't in use. It's a reliable window fan that will help you maintain a comfortable temperature in small premises. Simple and really efficient. 6" x 14.1" x 25.5"
The package includes the remote control and a convenient carry handle. Disassembling the unit for maintenance cleanups might be somewhat difficult. This is the optimal choice for small and medium premises. Thanks to the advanced technological design, you can carry this appliance from one room to another. 13.8" x 4.8" x 25.2"
To switch between blow in and blow out operation you need to reverse the fan manually. A reliable fan assembly in a compact casing with the electromotor featuring a moisture protection makes the device resistant to a bad weather influence. 10.27" x 4.13" x 21.60"
Can be installed in the window aperture both vertically and horizontally. Provides a quiet operation at medium and low speeds. 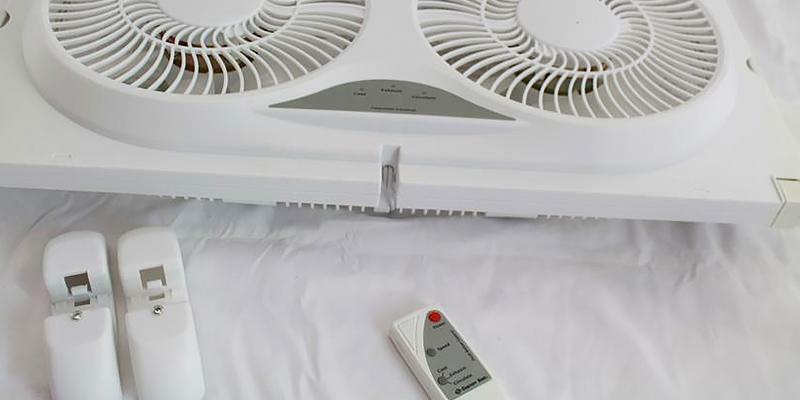 The switching between blow in and blow out modes requires manual fan reversing and reinstalling. This compact yet effective window fan is capable of creating a comfortable atmosphere in your house even in hot seasons. 7.7" x 3.4" x 25.2"
AirKing is a high-performance ventilation system that is very helpful during the summer heat since it intakes quite a lot of fresh and cool air from outside. The fan has a powerful motor capable of moving up to 3560 CFM and it's reversible. 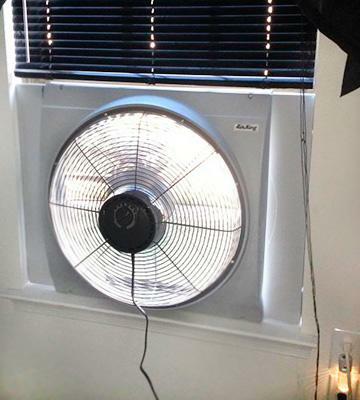 Thus, you can either move stale air out of your room or get some fresh air in. Of course, this window fan is suitable for commercial use - it will be really helpful in any cafe kitchen, in a small workshop, etc. 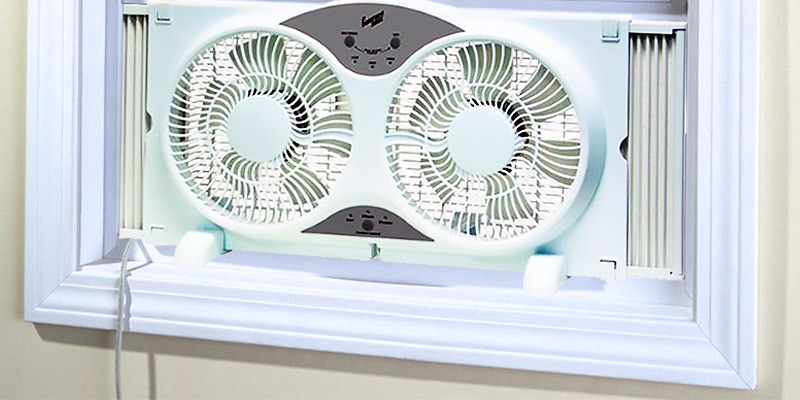 According to the tests, AirKing window fan can effectively ventilate large and medium spaces and if you have a small room - it will ventilate it really-really fast. However, the motor makes noise when set to the highest speed, so if the noise is too loud for you, just select a slower mode. The low settings are particularly comfortable at night when we all need silence and calmness. Apart from performance, a good window fan should be convenient and simple in installation. This fan is suitable for window openings from 27'' to 38'' and the installation is simple: everything you need is included in the shipping package. Moreover, the manufacturer has designed this device so that you could close a window and the fan didn't get in a way. It's called the Storm Guard feature and it's really handy. 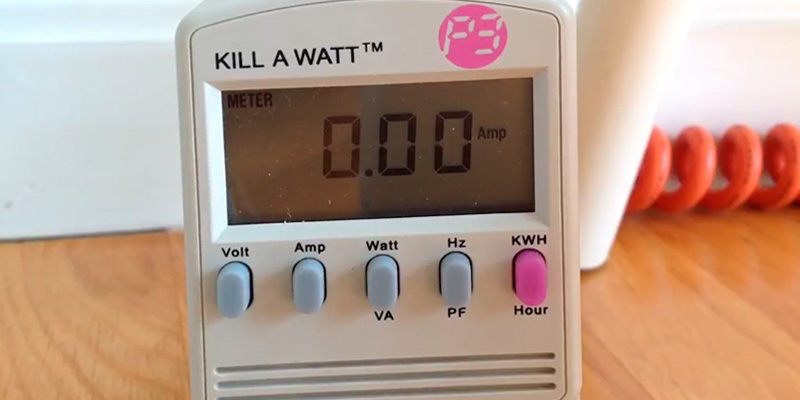 The switch is on the front panel of the window fan, so you can change the mode in a matter of seconds. The housing is made of shock-resistant plastic with a powder coating; the housing is durable and requires just simple maintenance. To make the operation of AirKing window fan even more efficient and money-saving, it's recommended to use Lux WIN100 heating & cooling programmable outlet thermostat that can control the air temperature in your house and, consequently, turn the fan on and off automatically. Bionaire is a window fan for maintaining a comfortable atmosphere in small premises. 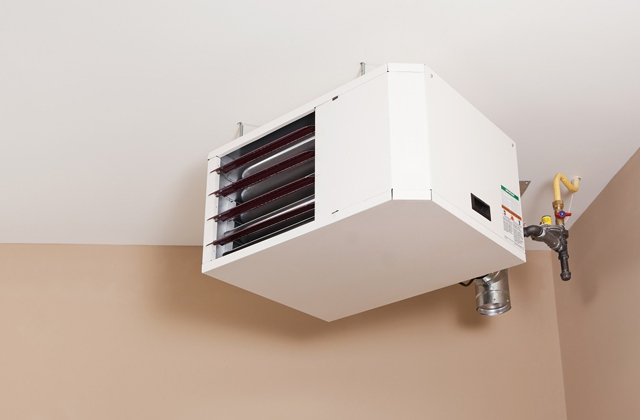 This unit has two fans that can move the air in different directions, ensuring an excellent ventilation. Controlling the window fan is easy since it comes with a remote. Thus, no need to leave your sofa and push any switches manually, just a couple of clicks - and it's ready. 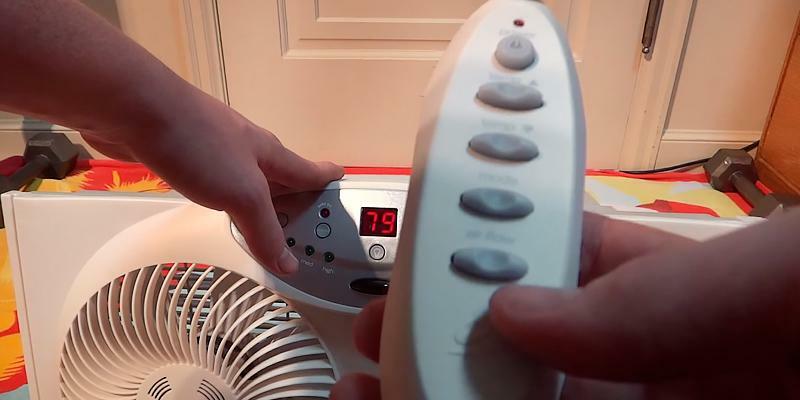 Moreover, this appliance has a thermostat that keeps the set temperature automatically. 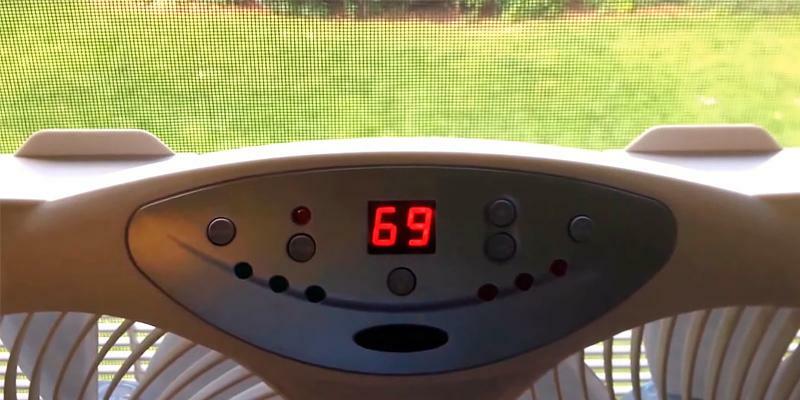 No need to mention, Bionaire window fan has a control panel on the front part; it allows you to change the speed and direction, as well as it shows the current temperature. Of course, all this information is shown on the remote, too. Bionaire window fan is designed to ventilate a room of up to 80 square feet and the average amount of air it can move is 400 CFM. The major advantage of this window fan is a low level of noise that it makes. 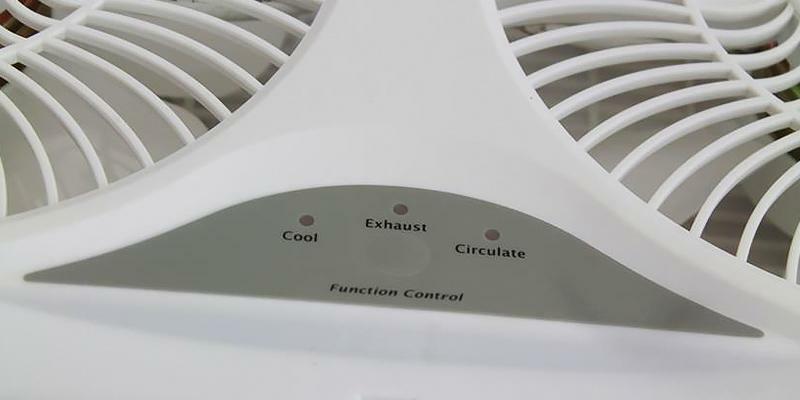 Even at the maximum rotation speed, the fan produces the noise measured at 50 dB only, whereas the noise at medium and low speeds is 45.5 and 43 dB, respectively. As you can see, the noise level is really low and this fan is superb for ventilation of the small rooms in houses and apartments. As for window openings, this unit is suitable for those from 24'' to 37'' wide. 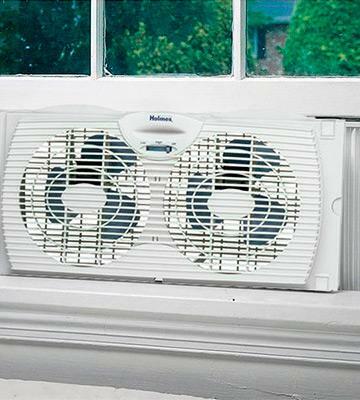 However, you can use this window fan even in smaller openings if you put this fan vertically! If there's no power outlet near the window, make sure to get the SlimLine 2241 extension cable. HowPlumb window fan is a portable appliance, which is very compact in size and simple in installation. Yet, Portable Twin ensures impressive ventilation efficiency. The unit has a handle so that you can carry it from one room to another, and this way ventilate different rooms for your family comfort. 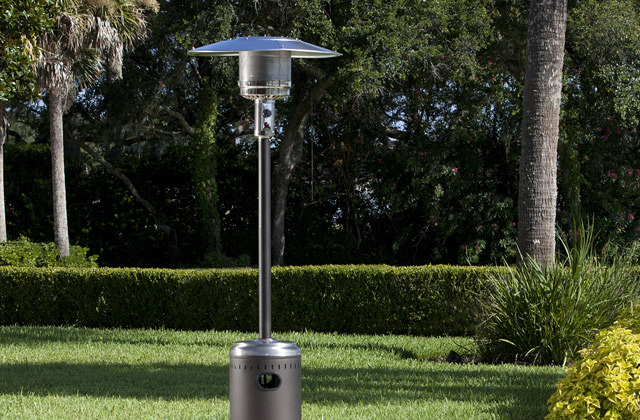 You can actually set this unit in a garage, bathroom or kitchen and enjoy fresh air. 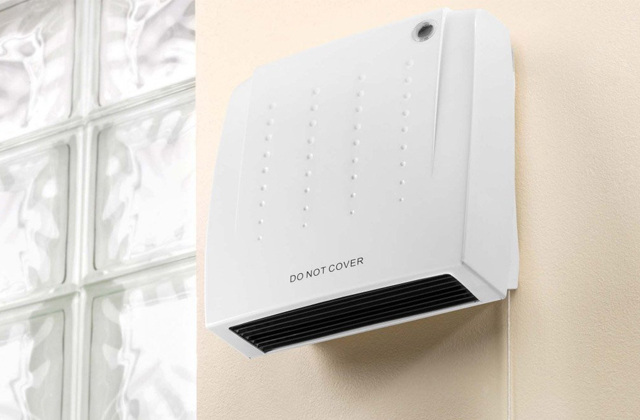 Since this window fan is reversible, it allows for proper ventilation in the nighttime and during the daytime. 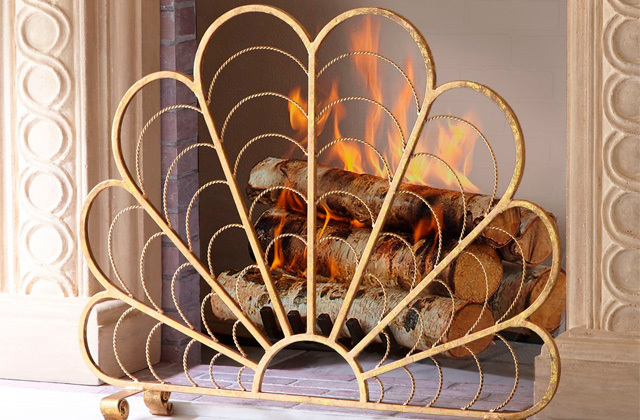 This all makes it a great and affordable option for most customers who look for 'effortless' comfort. What most customers like about this set is the little things that manufacturer has provided for user's enhanced comfort. Right out-of-the-box, you'll get a handy remote control using which you'd be able to configure and customize the settings, switching between speeds and mode controls. The installation process takes very little time as well and is pretty simple thanks to the built-in extenders. 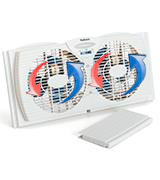 This reversible window fan is suitable for window openings from 24.5'' to 37'' wide. Moreover, the unit has special legs, so it's possible to place it upright and use as a tabletop fan. The blades of this fan are designed in a way to provide the maximum CFM rate possible and it varies from 812 to 918 CFM, which is an excellent result for such a compact device. Thermwell Products AWS1537 15x21-37 EXT wind screen will help you prevent insects from flying inside your home. 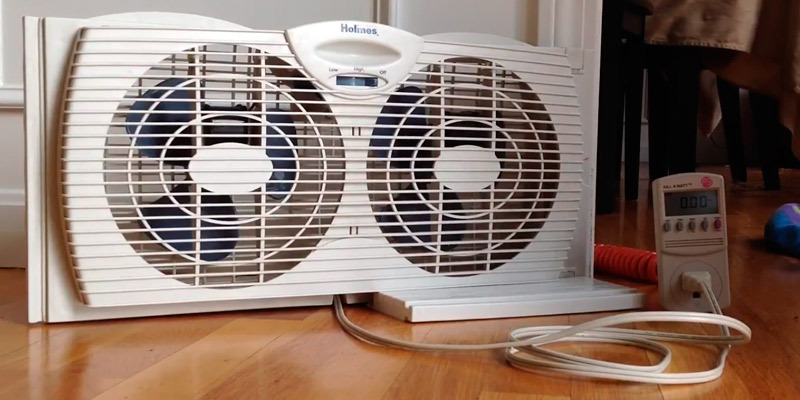 This fan by Holmes is an inexpensive solution for a home use. 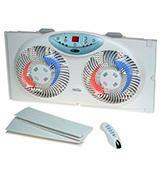 This dual blade model is one of the best window exhaust fans, which can be used as a blow in fan as well. To make the fan exhaust the air just install it in the window with a corresponding side outwards. You can use this casement window fan to blow the air in your house by doing a reverse-side installation of this model. 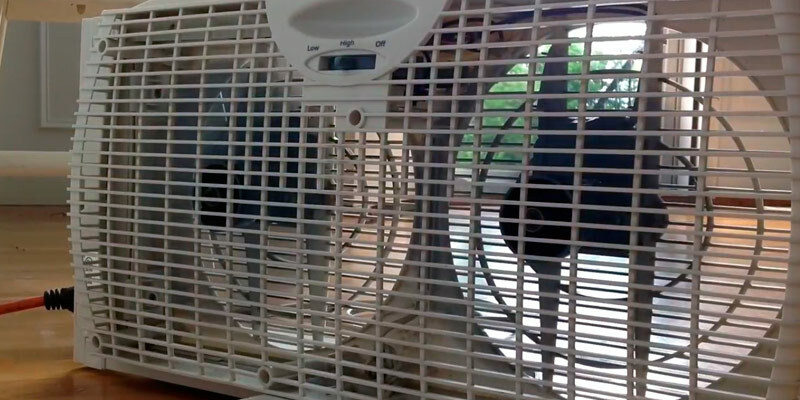 Naturally, the manufacturer provided for a simple and quick installation of this quiet window fan with these two installation options available. 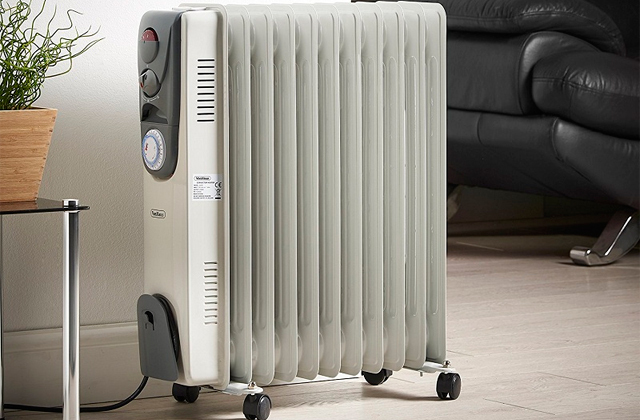 The Dual Blade Twin was designed to ventilate small areas, such as kitchens and bedrooms. This model by Holmes offers the 400 CFM capacity to make the environment in such premises comfortable and the air refreshed. 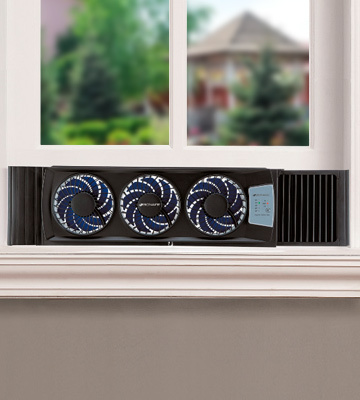 From the point of view of operation noise, the Dual Blade is a solid performer and is on par with other middle-tier reversible window fans. 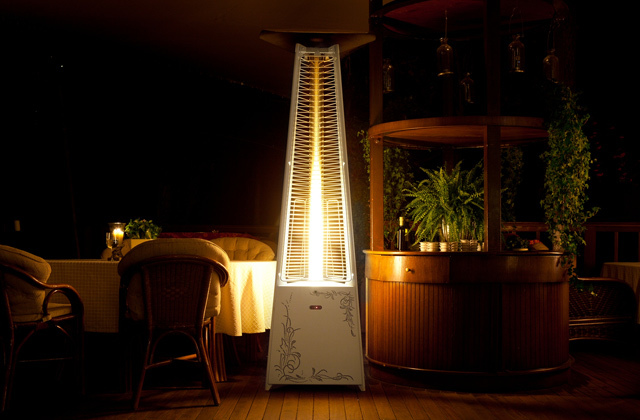 In addition, the fan uses electric power in an efficient way as has modern elements and materials in its design. 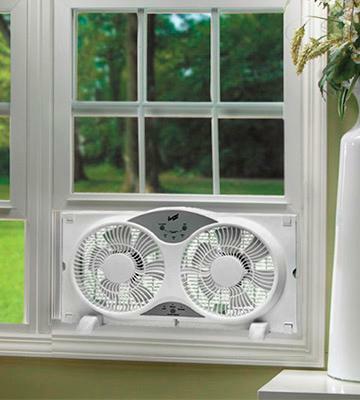 This Holmes whole room window fan is installable in window casements from 24" to 36"-wide. In addition, the fan comes with two additional extender panels, using which you can securely mount the fan assembly in a window casement. The dual speed operation this device provides may come in handy if you, for example, install this window fan in your kitchen and need to exhaust some heavy odor or fumes. 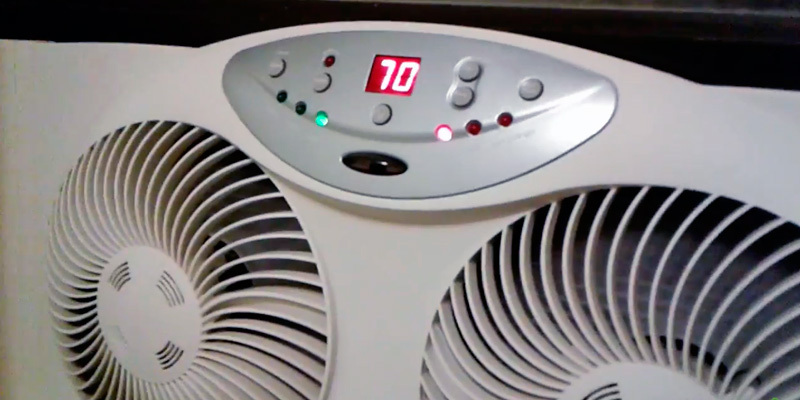 The switching to the high rotation speed mode is very simple just use the switch on the fan. 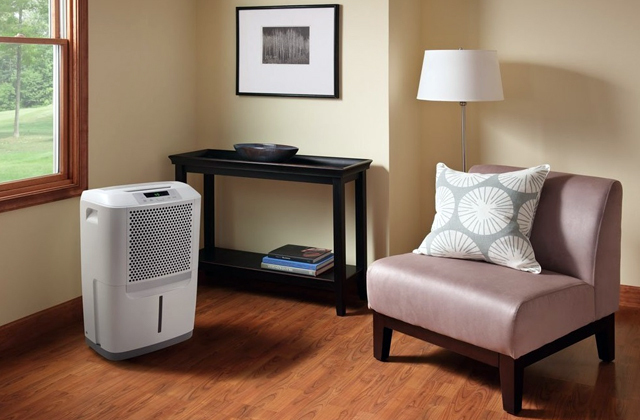 Another feature that makes it possible to install the fan in any room is the water-resistant package of its electric motor. 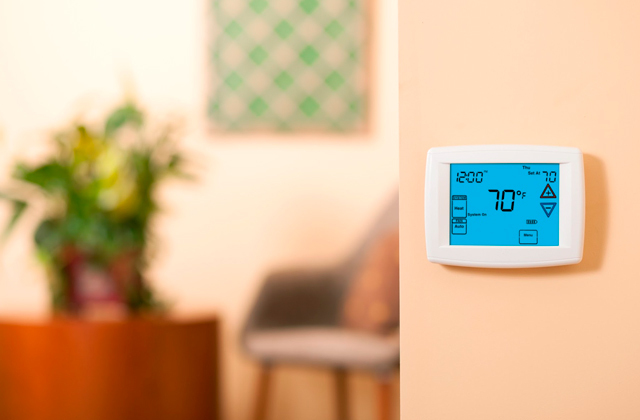 The Bionaire company specializes in the design and manufacture of various climate control equipment, which allows users to maintain a comfort zone in their houses. 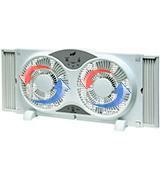 One of the solutions produced by the company is the BWF0522M window fan. The main advantage of this device is its compact size. 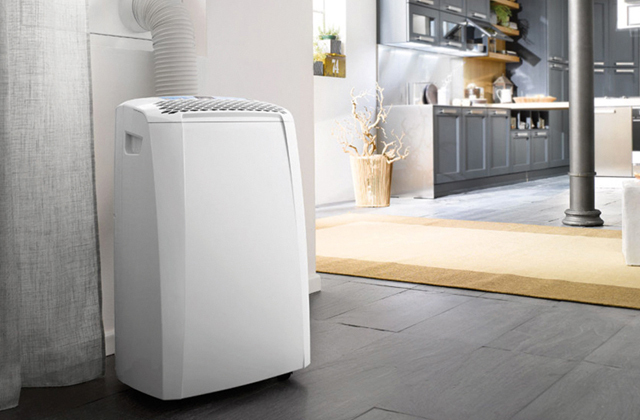 Indeed, the fan does not look bulky, which was achieved by reducing the radius of the fan blades with increasing the number of fans up to three. However, such approach in no way affected the overall efficiency of this quite powerful window fan set. This fan set by Bionaire was designed for the installation in window openings of up to 25.5 inches in diagonal owing to the bundled patented extender screens. The use of these extender screens brings versatility in terms of the model mounting positions enabling both horizontal and vertical installation. 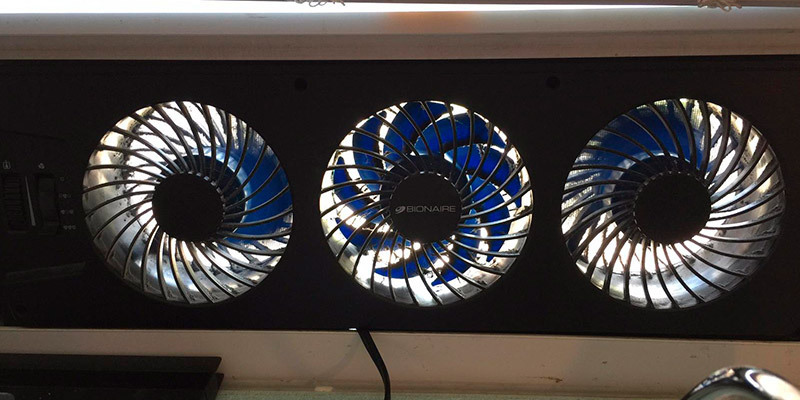 As we've mentioned, the vertical and horizontal sliding fan by Bionaire carries three fans on board, each with a blade diameter of 6 inches. 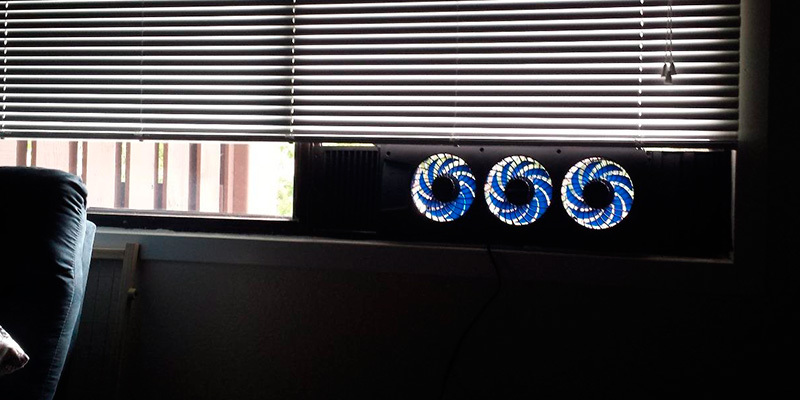 With that, each fan has nine twisted blades to produce a more effective airflow. 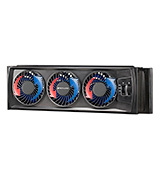 The manufacturer also provided three fan speeds that allow you to adjust airflow produced according to your needs. 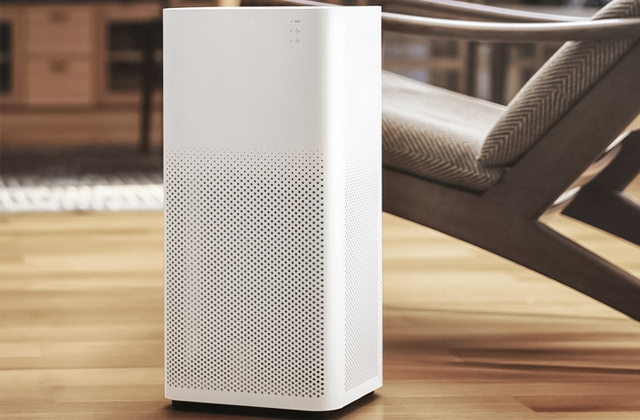 As for the ventilation capacity, the performance of this model is not as impressive as those of the top rated window fans with a bigger size, but the BWF0522M model is powerful enough to ensure a sufficient inflow or outflow of the air even for comparatively big rooms. 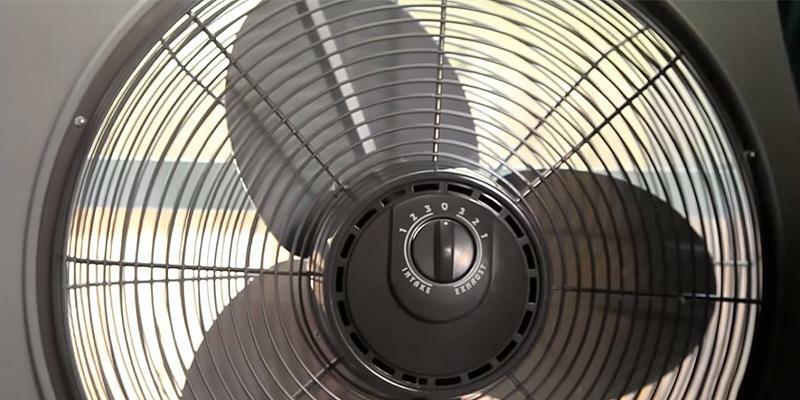 It's worth mentioning that the fan is reversible, though using it in different modes as for the air flow direction requires turning and reinstalling the fan manually, as its blades rotate in one direction only. As impractical as it may seem, such design decision is justified by a time-proven concept stating that simpler devices serve longer. By the way, the manufacturer covers the device with its 5-year warranty, thus you can be sure that you will use this fan for several years with no worries. If you are looking for a cooling solution for your workplace or simply a very small area then consider a USB fan. These miniature devices require only an unoccupied USB port for their operation. With their compact size, USB fans proved themselves to provide decent cooling performance and being capable of low-noise operation, not distracting your attention. A window fan is one of the most popular ways to ventilate a room or a house. This type of fans is installed directly into a window aperture so as not to take much space in a house or apartment. The installation process is simple and requires no effort or special skills and experience - you can easily do it yourself and save up. As usual, window fans are used in summer, when it's roasting hot. 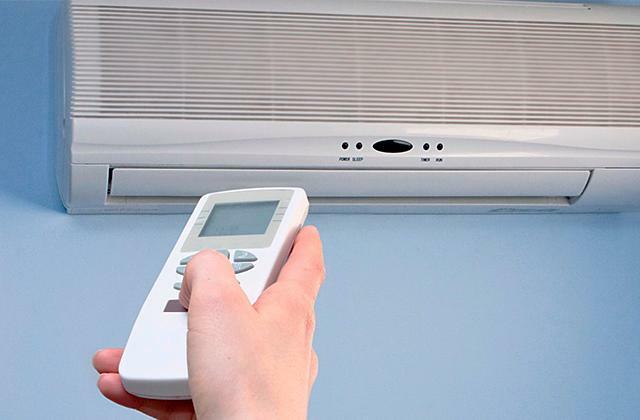 They improve air circulation and ventilate the room but unlike regular air conditioners, these appliances are way cheaper. Of course, window fans are a compulsory accessory for cafes, stores, and so on. 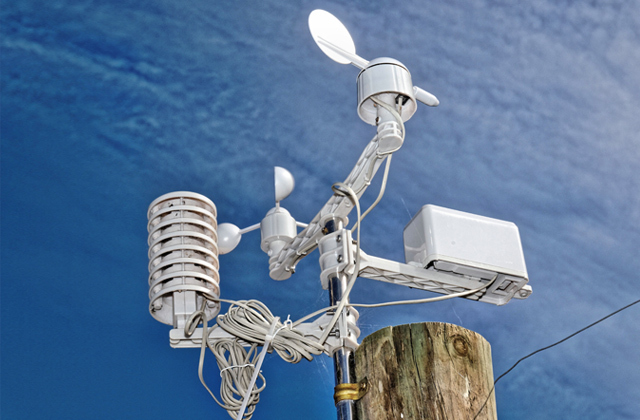 For maintaining an optimal level of humidity and circulation, learn more about misting fans. Exhaust fans - they remove stale, polluted or smelly air from certain premises. These fans are used mostly in bathrooms, kitchens, workshops, small labs, etc. Intake fans - they are used for taking fresh air into the rooms without an exhaust system. 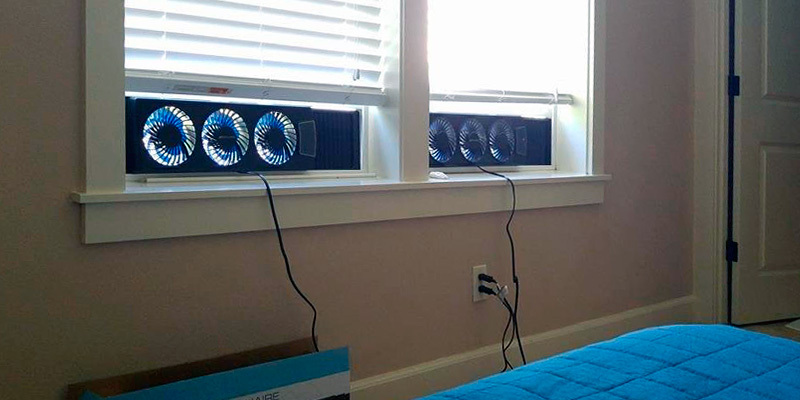 These fans bring fresh air, slightly increasing the pressure in the room, and ensure quite an efficient ventilation. 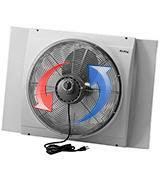 Reversible fans - they are the most efficient and can both remove and take in the air. Thus, decide what kind of a window fan you need and what premises you need to ventilate. First of all, check how powerful the chosen appliance is - the more power the motor yields, the more air the fan can move. It has a direct impact on the air flow, i.e. the amount of air moved by the fan. It's usually measured in cubic feet per minute (CFM). Why is it important? Because it helps estimate how much space it can handle and if that's what you need. For example, the area of 1000 cubic feet can be fully ventilated by a window fan with 160 CFM performance. The last issue to take into account is the convenience of use. No need to say, any mechanism with a motor makes some noise and it's very much unlikely that you'll find sleeping in a noisy room enjoyable. Therefore, it's essential to check on the noise that different window fans produce. Remember, 65 dB and a lower level of noise is considered to be quiet and fully comfortable for most people. Check on the peculiarities of design - a device should fit well into a window opening. Window fans with so-called 'French blinds' are the most effective for window installation since they don't let the cold air in. Make sure to consider the material a window fan is made of. To the big extent, it's the material that predetermines the service life of a device. 1. Kit Dillon The Best Window Fans, The Sweethome. June 23, 2016. 2. 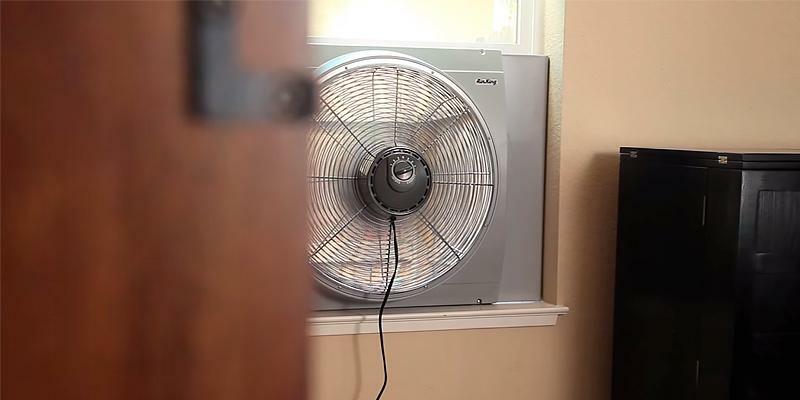 How to Use Window Fans for Home Cooling, wikiHow. 3. Fan Buying Guide, ConsumerSearch. June 2016. 4. 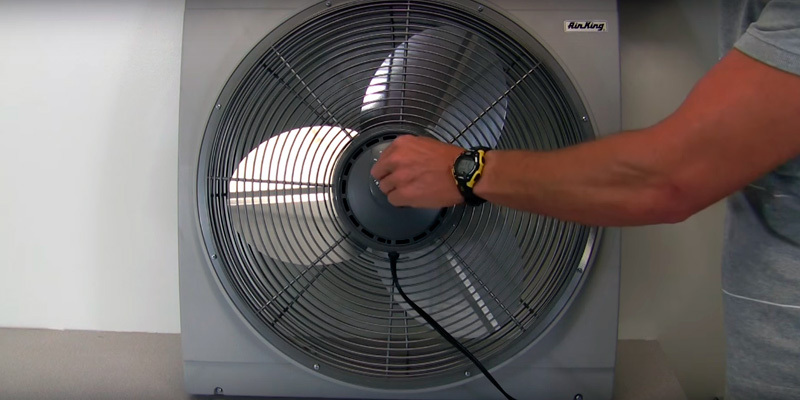 Installing Window Fans: What to Avoid, DoItYourself. 6. Sharon DeBartolo Carmack History of Fans, Family Tree Magazine. September 27, 2009. 7. Fans for Cooling, Energy.Gov. 8. Rick DeGunther Choosing the Right Fan to Cool Your Home, dummies.